Semi Front Wrap Cross Carry (SFWCC) can be done with a much shorter wrap than the full Front Wrap Cross Carry, but is similar in comfort. 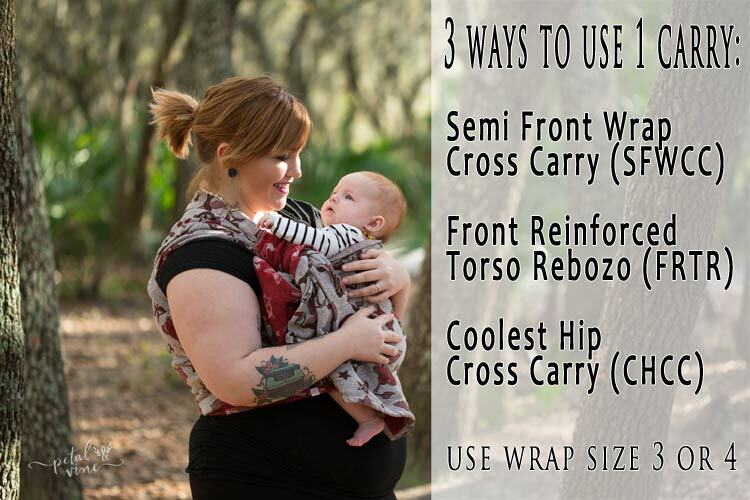 The carry begins the same way and is a great beginner carry for a parent with a short wrap. 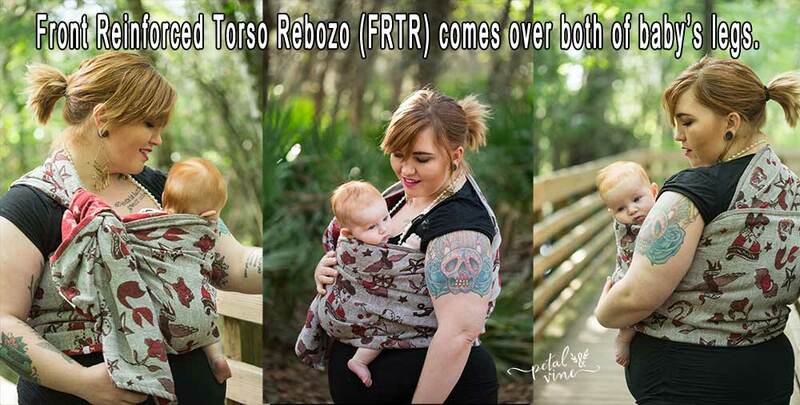 Front Reinforced Torso Rebozo (FRTR) is a Semi Front Wrap Cross Carry with the last pass coming over both of baby’s legs, instead of under the first leg. This makes for a closer carry and is particularly nice with little babies who may not be as comfortable with bunched fabric under their legs. 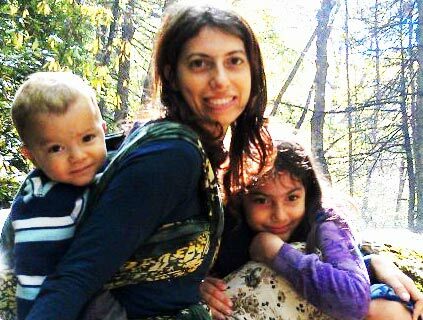 Front Reinforced Torso Rebozo is just like Semi Front Wrap Cross Carry with the wrap coming over baby’s legs. Shown here with a size 3 Natibaby Tattooed wrap. Semi-FWCC comes under baby’s leg as it comes around your back, before spreading over baby’s back and tying at shoulder. 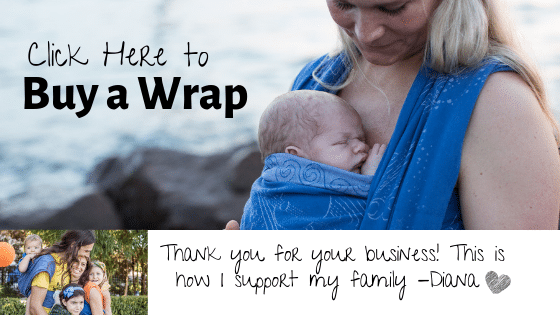 Shown here with a size 3 wrap. Coolest Hip Cross Carry (CHCC) is tied on the same way as Semi FWCC or FRTR, but baby is inserted with a leg on either side of the cross made by the two passes. In other words, each pass goes over one leg and under the other as in a true cross carry. 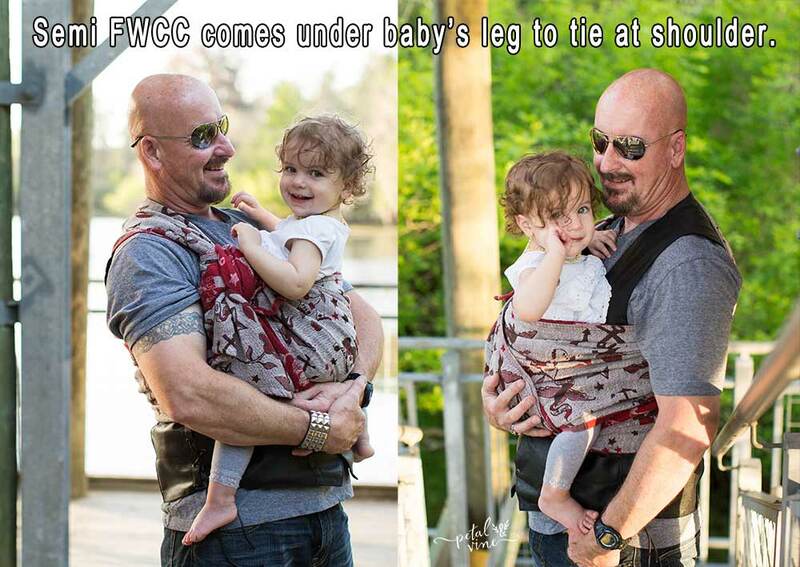 Keep in mind that you can use this carry to hold a baby on your hip (once baby is able to sit unassisted) or use it centered on your chest.